L.A. native Desure, aka Josh Desure, has just released his latest track “Los Angeles” today (3/29) via Tuxedo Records/MEGA Records. 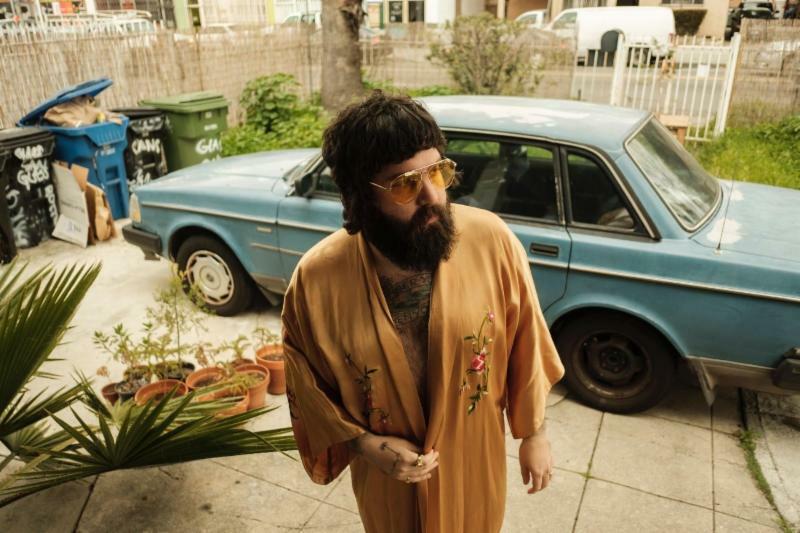 An amalgamation of country, folk, indie and rock, the track’s confessional chorus draws inspiration from the excesses of the L.A. player lifestyle. "Growing up in Los Angeles, you lose a bit of the romanticism and that feeling dissipates. This song sort of speaks for itself. A breaking point came and a shift had to occur,” says Desure. A tour manager turned artist, Desure first started working with country trio Midland during their On the Rocks debut album tour before giving up his industry gig to fill a last minute opening act slot. Now, Desure is touring with Midland as an opening artist for their Electric Rodeo Tour, both in the U.S. and the U.K., and will be performing select dates with singer-songwriter Dwight Yoakam. For more info on when you can catch Desure, click here. In the meantime, listen to “Los Angeles” below. 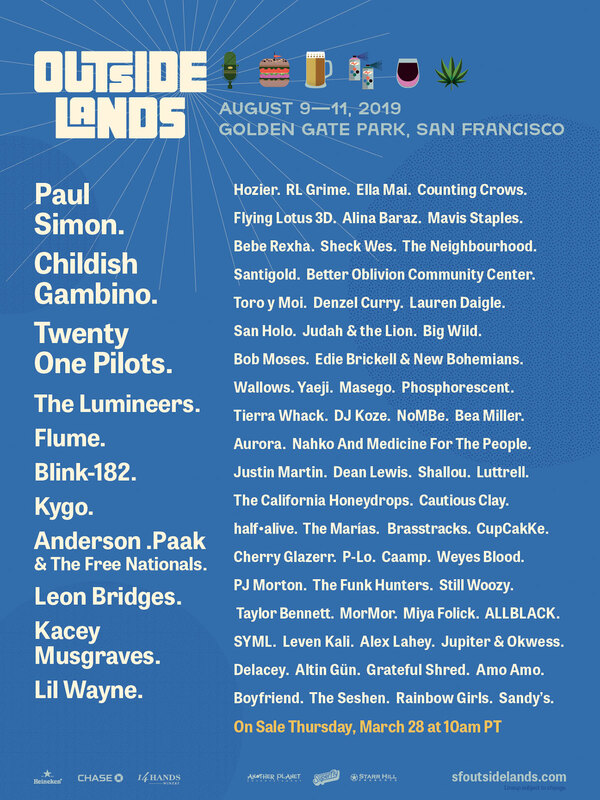 Returning for the 12th year at the historic Golden Gate Park from 8/9-11, San Francisco’s Outside Lands has announced its full 2019 lineup. With headliners Paul Simon, twenty one pilots and Childish Gambino, the festival once again celebrates both the new and old across all genres. Joining them will be Grammy winners Kacey Musgraves and Ella Mai, as well as folk-rock favorites The Lumineers. 3-day GA & VIP passes go on sale Thursday (3/28) at 10am PT— check out the full lineup below. For more details, click here. Opener Lauren Aquilina set the mood with some sad songs of her own. The Bristol born singer-songwriter stepped back from the spotlight in 2016 to be a songwriter, but returned in 2018 with her single “Psycho,” which she closed out her set with. Aquilina’s latest single “Tobacco In My Sheets,” an open letter to her mom about how she was using alcohol and drugs after her first heartbreak, drops on 3/29. 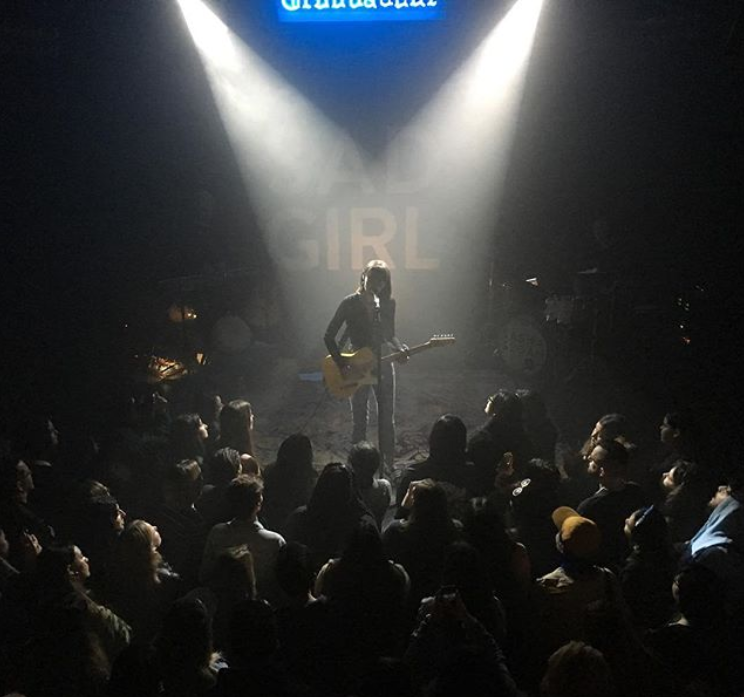 Sloan will continue to hit a slew of cities across the U.S., a stop in Canada, and a few international sets before closing out the tour with a hometown set at the Greek with fellow Hills Artist repped band LANY. For tickets and more information, click here.